"Gilbert & Gaillard" has rated the wine "Arnaldo-Caprai Montefalco Rosso Riserva, Umbria, Italy" from the vintage 2011 on 30.06.2016 with 86 of 100 points.
" Beautiful deep garnet. Appealing nose of mild spices with a trace of Havana cigar, blueberry, plum and blackberry. Robust, virile palate showing lovely tension, a robust, supporting structure and herbal presence on the finish adding some bitterness. Keep for 4 years. " "Wine Spectator" has rated the wine "Arnaldo-Caprai Montefalco Rosso Riserva, Umbria, Italy" from the vintage 2011 on 30.04.2017 with 91 of 100 points. "Wine Spectator" has rated the wine "Arnaldo-Caprai Montefalco Rosso Riserva, Umbria, Italy" from the vintage 2010 on 30.09.2016 with 91 of 100 points. "Wine Enthusiast" has rated the wine "Arnaldo-Caprai Montefalco Rosso Riserva, Umbria, Italy" from the vintage 2009 on 02.01.2015 with 89 of 100 points. "Wine Enthusiast" has rated the wine "Arnaldo-Caprai Montefalco Rosso Riserva, Umbria, Italy" from the vintage 2008 on 02.01.2014 with 90 of 100 points. "Vinous Antonio Galloni" has rated the wine "Arnaldo-Caprai Montefalco Rosso Riserva, Umbria, Italy" from the vintage 2008 on 01.02.2013 with 91 of 100 points. "Wine Enthusiast" has rated the wine "Arnaldo-Caprai Montefalco Rosso Riserva, Umbria, Italy" from the vintage 2007 on 10.01.2012 with 90 of 100 points. "Wine Enthusiast" has rated the wine "Arnaldo-Caprai Montefalco Rosso Riserva, Umbria, Italy" from the vintage 2006 on 06.01.2012 with 90 of 100 points. "Vinous Antonio Galloni" has rated the wine "Arnaldo-Caprai Montefalco Rosso Riserva, Umbria, Italy" from the vintage 2007 on 01.06.2011 with 94 of 100 points. "Vinous Antonio Galloni" has rated the wine "Arnaldo-Caprai Montefalco Rosso Riserva, Umbria, Italy" from the vintage 2005 on 01.04.2009 with 91 of 100 points. "Wine Spectator" has rated the wine "Arnaldo-Caprai Montefalco Rosso Riserva, Umbria, Italy" from the vintage 1998 on 31.03.2002 with 91 of 100 points. "Wine Spectator" has rated the wine "Arnaldo-Caprai Montefalco Rosso Riserva, Umbria, Italy" from the vintage 1997 on 31.01.2001 with 88 of 100 points. "Wine Spectator" has rated the wine "Arnaldo-Caprai Montefalco Rosso Riserva, Umbria, Italy" from the vintage 1996 on 29.02.2000 with 86 of 100 points. "CellarTracker" has rated the wine "Arnaldo-Caprai Montefalco Rosso Riserva, Umbria, Italy" from the vintage 2007 with 90 of 100 points. 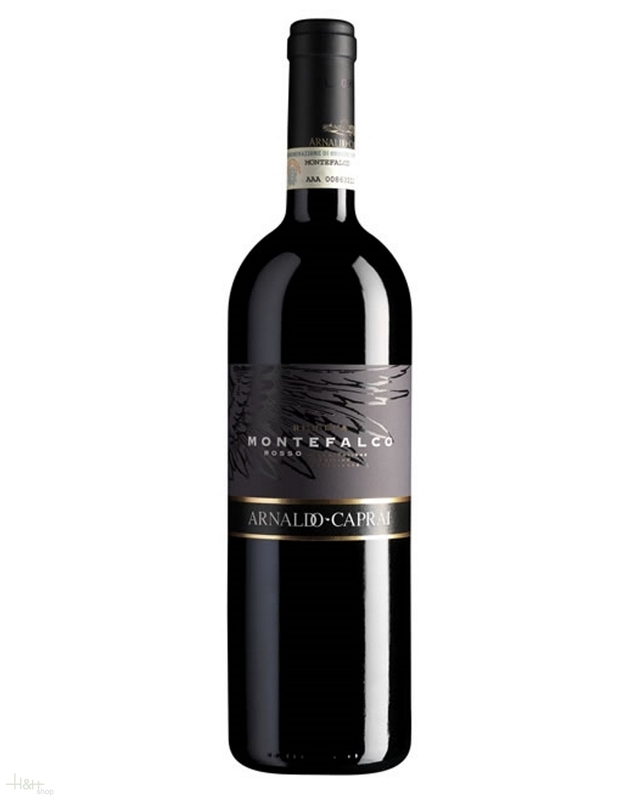 "CellarTracker" has rated the wine "Arnaldo-Caprai Montefalco Rosso Riserva, Umbria, Italy" from the vintage 2008 with 90 of 100 points. "Stephen Tanzer" has rated the wine "Arnaldo-Caprai Montefalco Rosso Riserva, Umbria, Italy" from the vintage 1996 with 90 of 100 points. "Stephen Tanzer" has rated the wine "Arnaldo-Caprai Montefalco Rosso Riserva, Umbria, Italy" from the vintage 1995 with 90 of 100 points. "Stephen Tanzer" has rated the wine "Arnaldo-Caprai Montefalco Rosso Riserva, Umbria, Italy" from the vintage 2008 with 90 of 100 points. "CellarTracker" has rated the wine "Arnaldo-Caprai Montefalco Rosso Riserva, Umbria, Italy" from the vintage 2006 with 89 of 100 points.